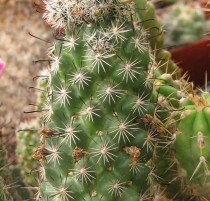 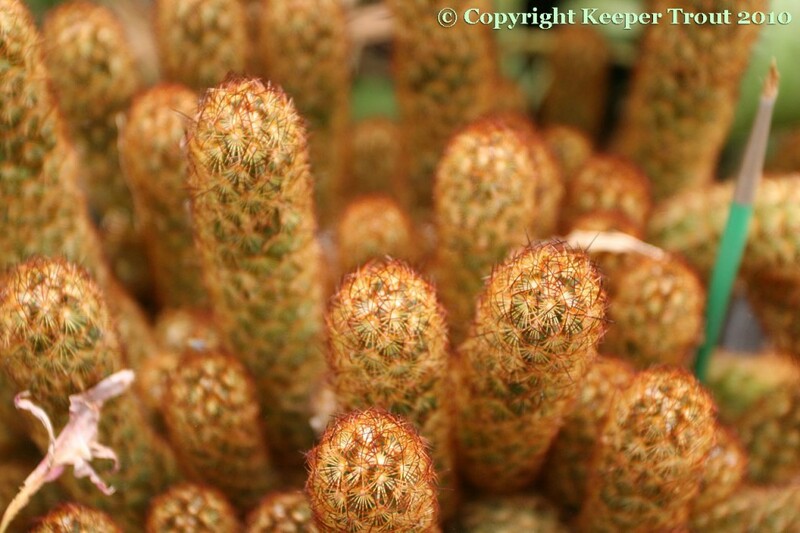 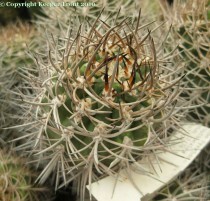 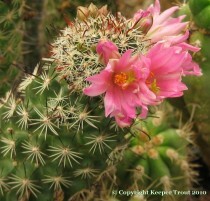 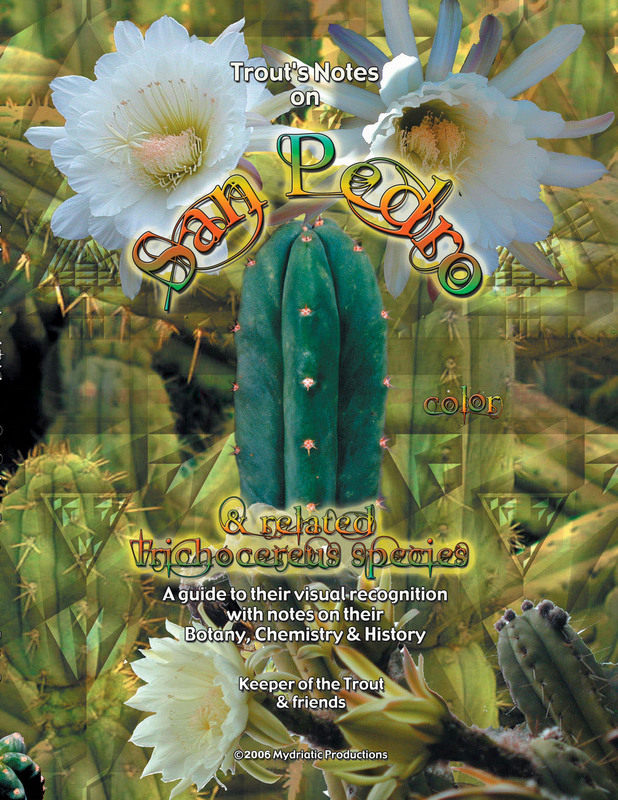 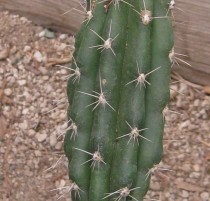 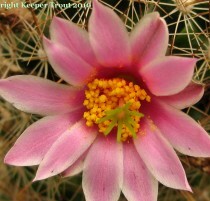 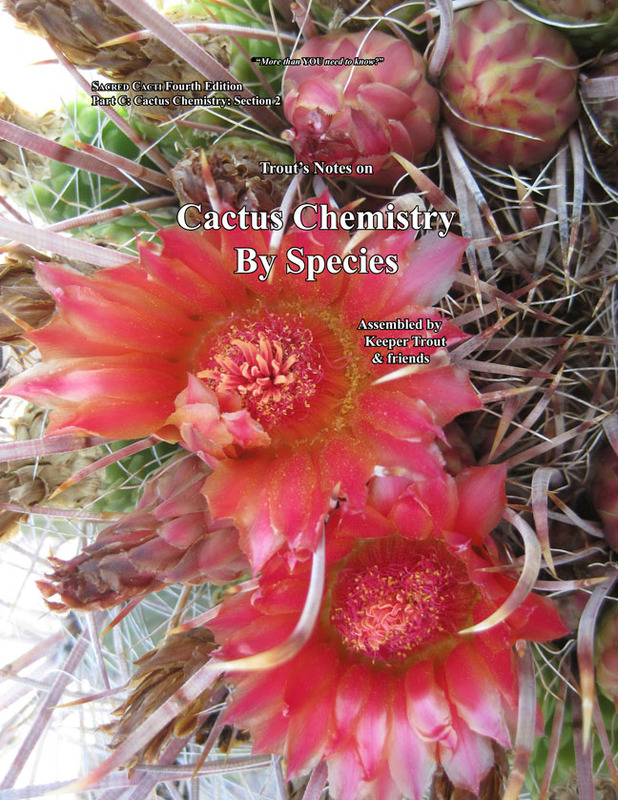 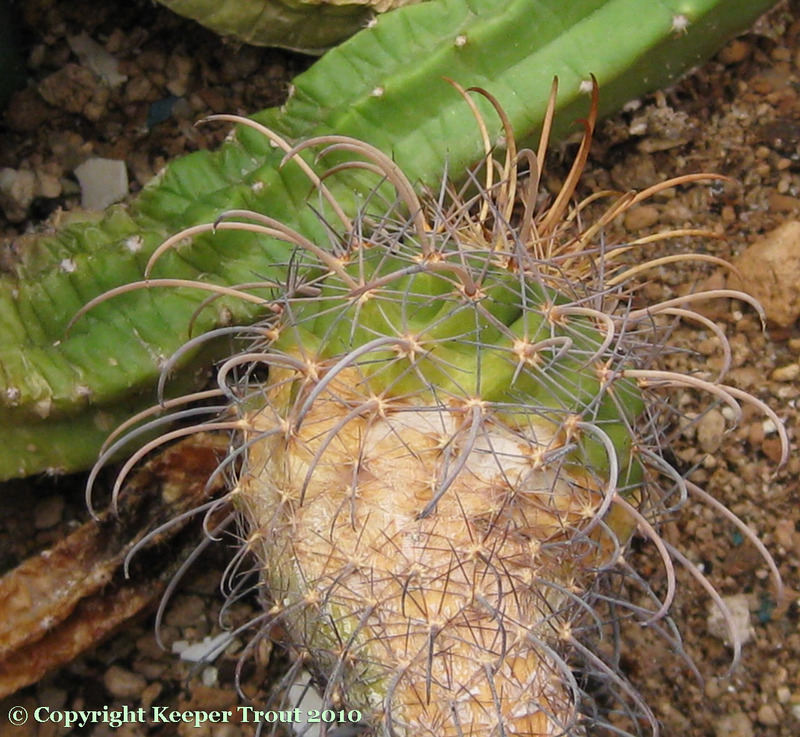 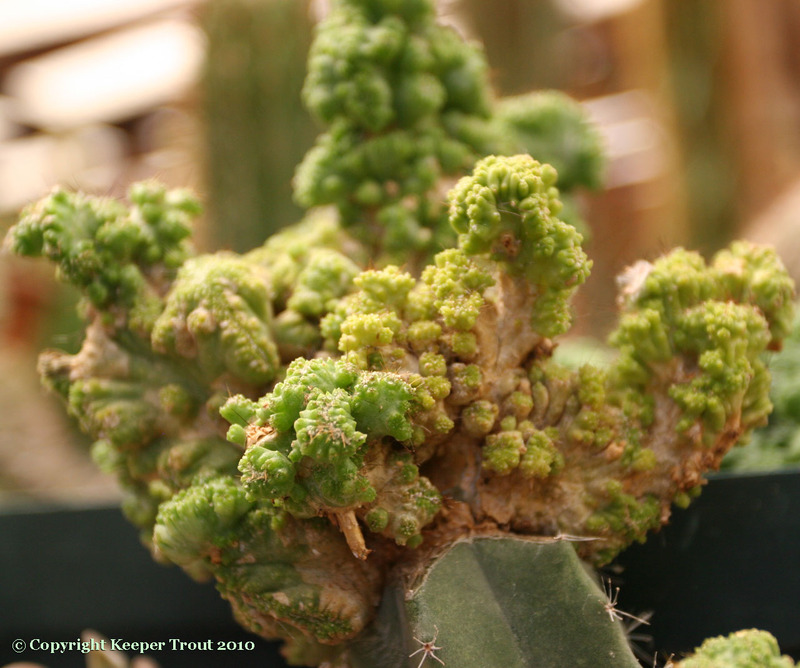 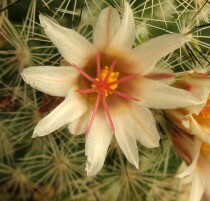 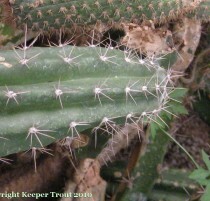 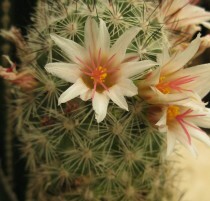 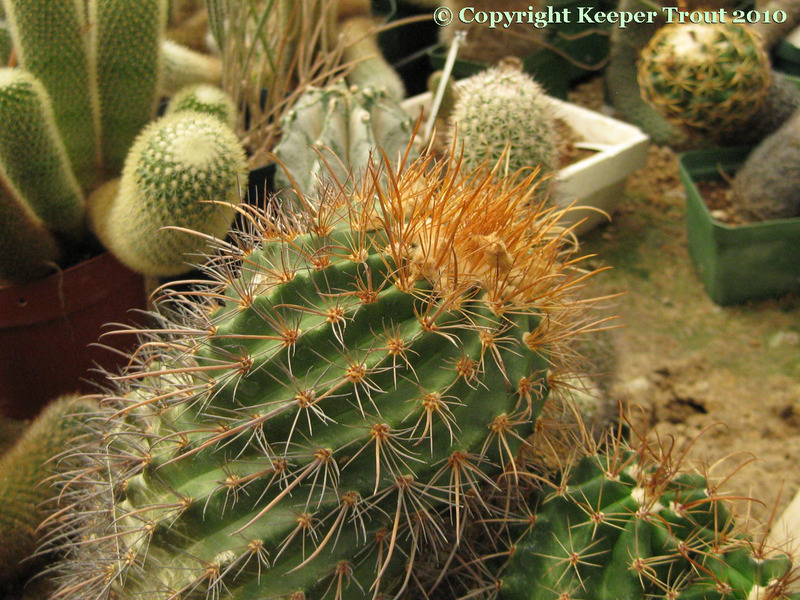 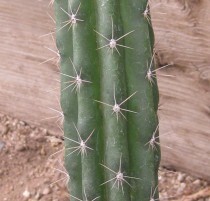 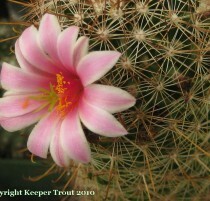 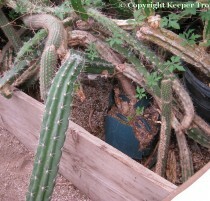 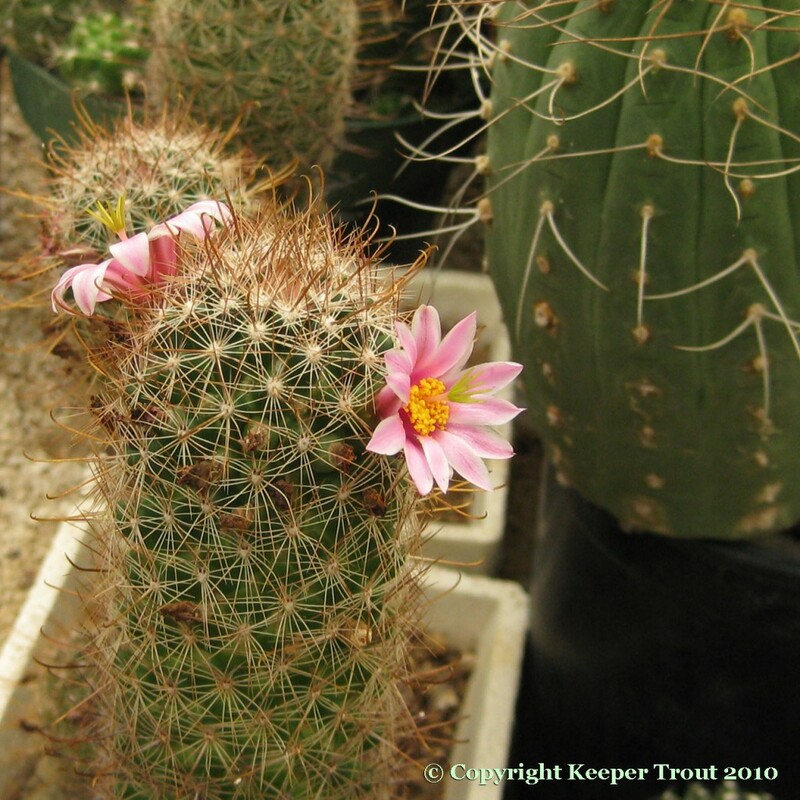 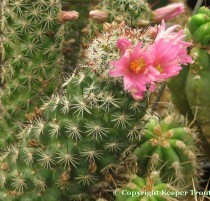 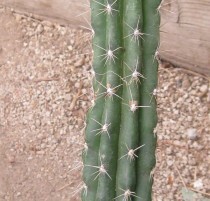 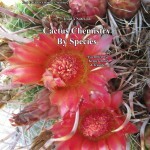 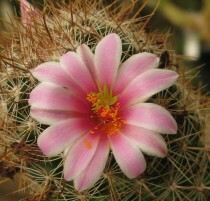 More images of some of the cacti encountered during a visit to NMCR in 2010. 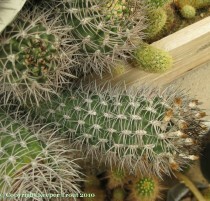 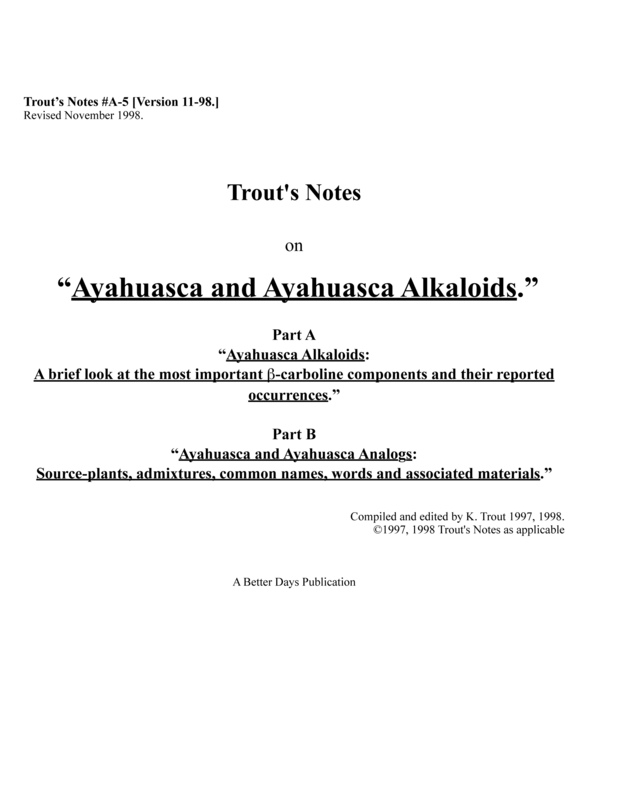 Most of the plants on this page were grown from seed by Horst. 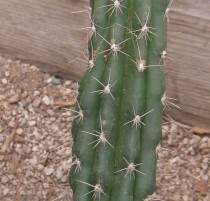 The first two are vegetatively propagated. 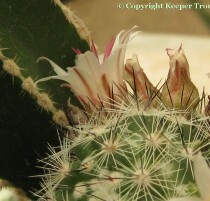 This first image did not turn out well but was one of my favorites. 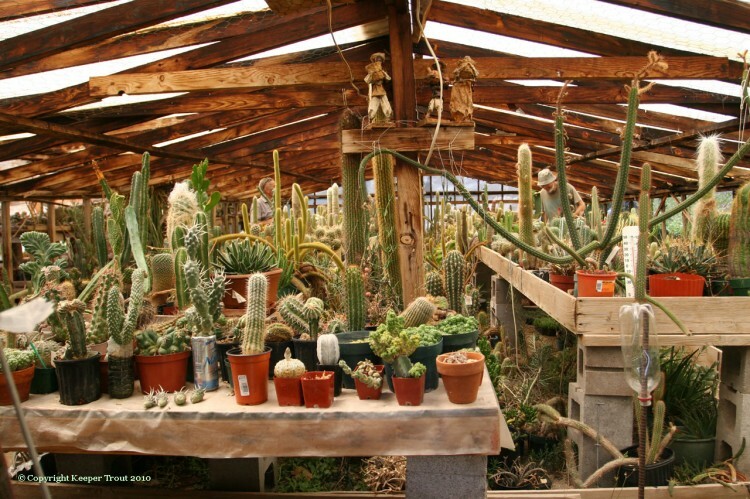 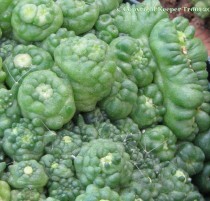 Before his illness disrupted his plans, Horst had begun propagating a cristate form of the popular monstrose Mammillaria bocasana cv. 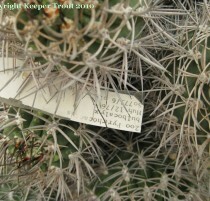 “Fred”. 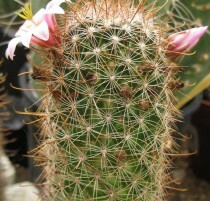 Horst was preparing to release this clone under the name “Ethel” to be an appropriate counterpart for “Fred”. 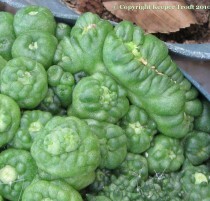 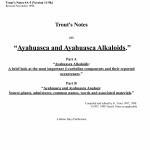 As Horst commented, the name suggests a use for food of some sort. 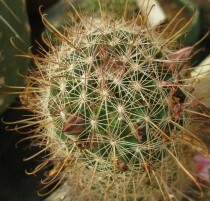 He had been unable to learn more about it or the origin of the name choice. 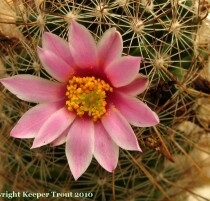 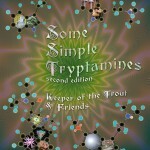 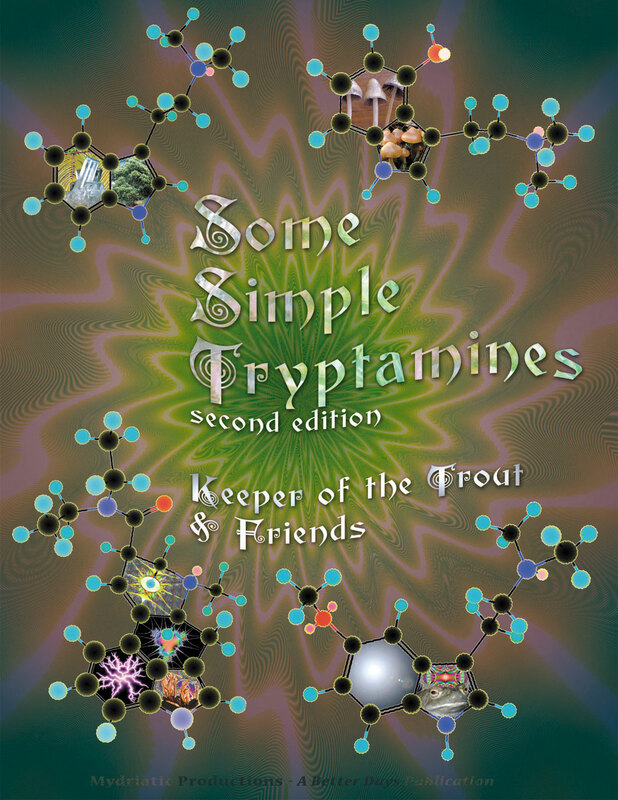 I hope that you enjoy seeing NMCR!